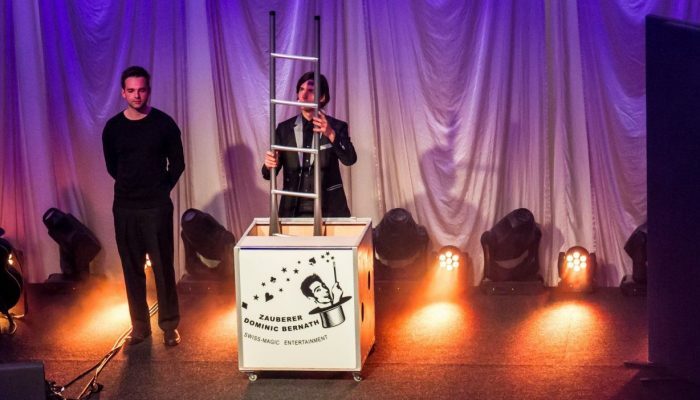 Are you planning the entertainment for the next event and looking for something special to amaze your guests? 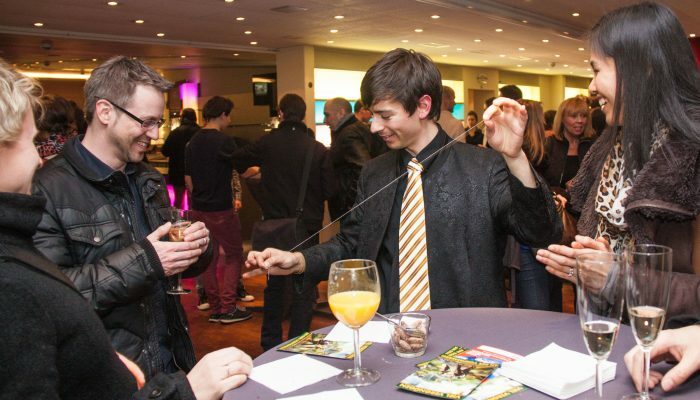 Discover the perfect entertainment for your event! 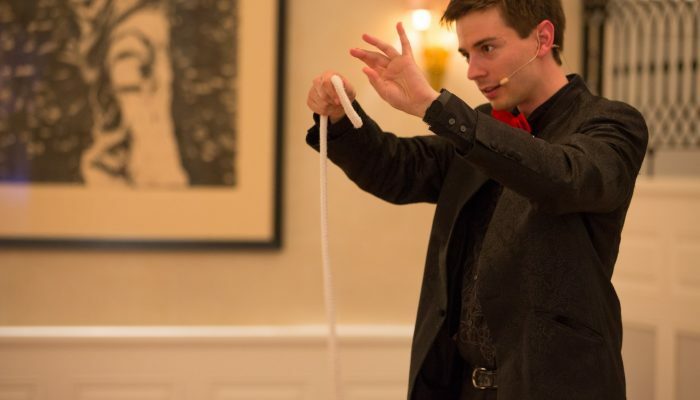 The magic show is the ideal entertainment for your guests and will make your event an unforgettable experience. 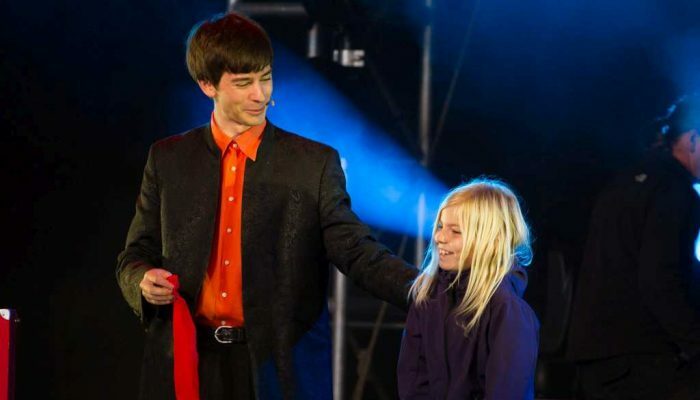 The show is very interactive and some of the audience are included in the program. 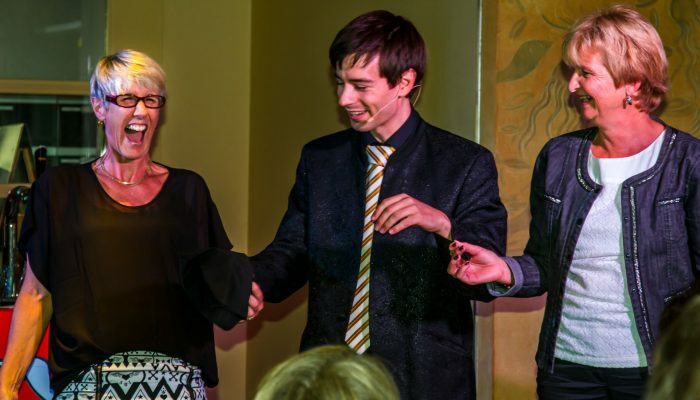 With a refreshing blend of dexterity and comedy, Dominic provides a show that will be the topic of conversation for a long time to come. 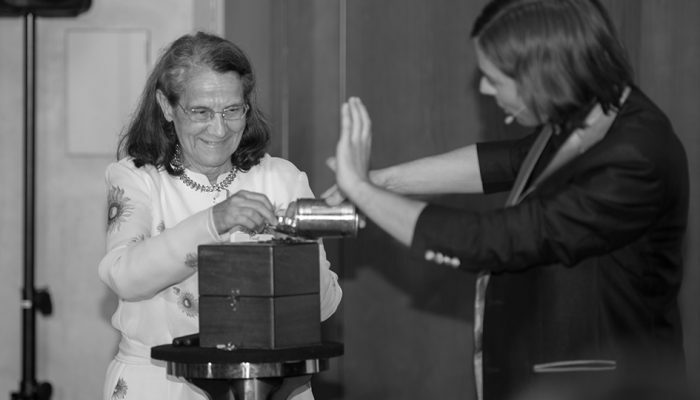 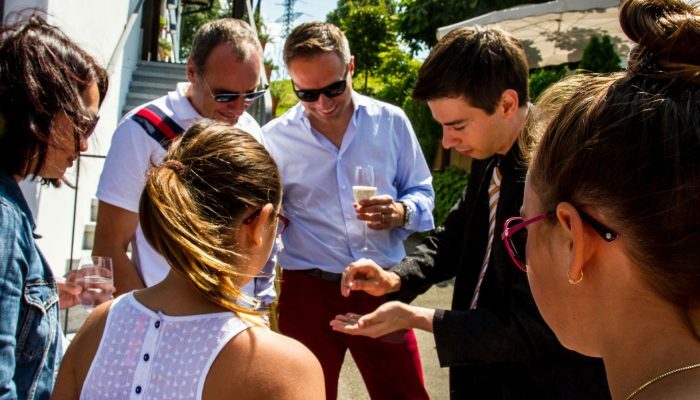 If you want to entertain your guests in smaller groups, the close up magic is ideal. 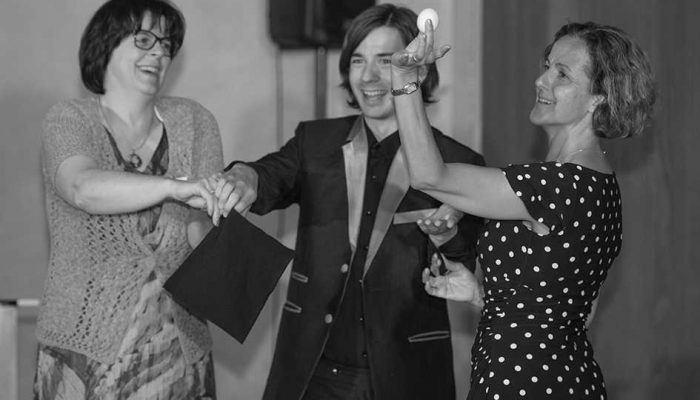 Dominic Bernath presents small miracles directly under the eyes of the spectators and inspires them, as they have the possibility to observe the events in the smallest circle personally and with borrowed objects. 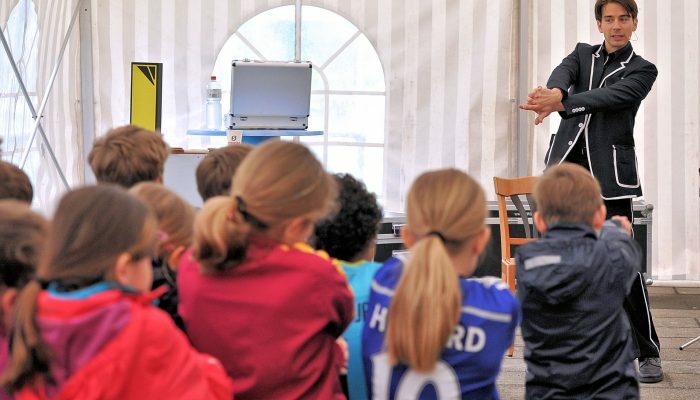 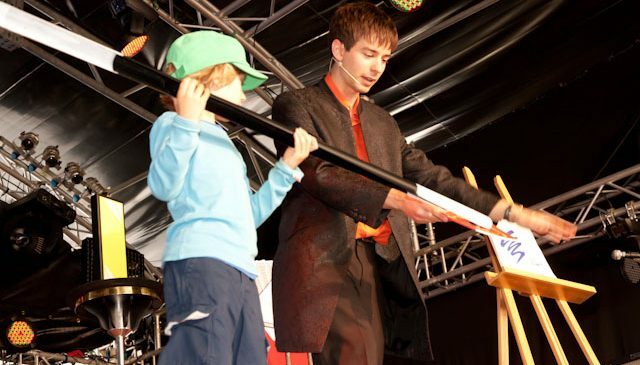 For birthdays or special occasions there is a special magic show for children. 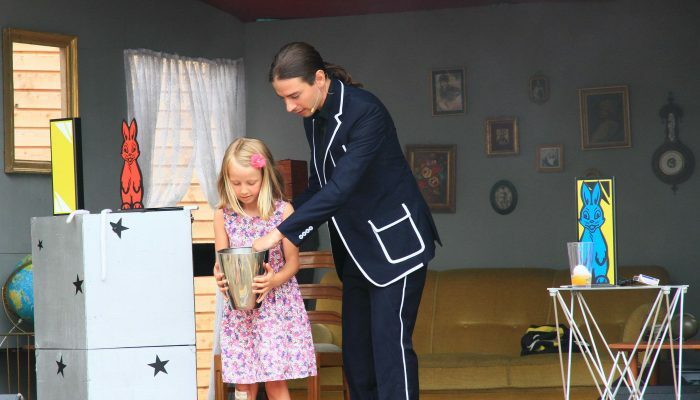 The children are not only allowed to watch the magic effects, but also become the stars of the show. 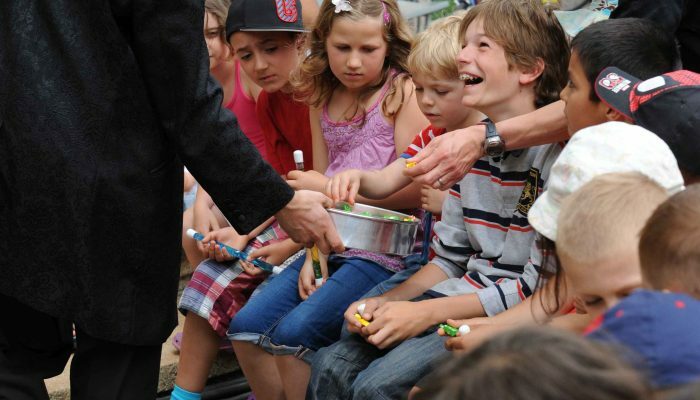 After the magic show, children can learn some magic effects in a magic workshop. 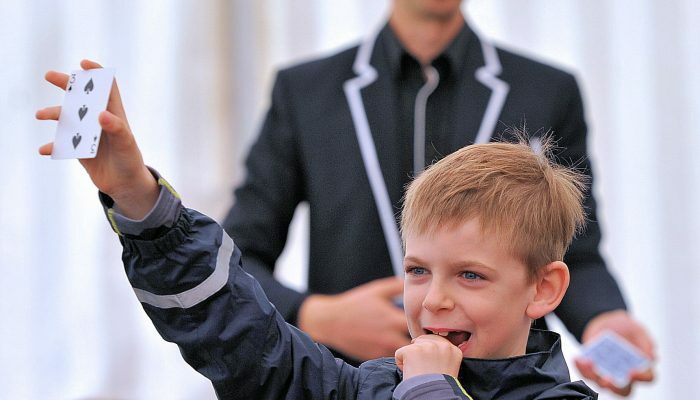 Magician Dominic is guaranteed to provide fun, excitement and enthusiasm for your next children’s birthday party! 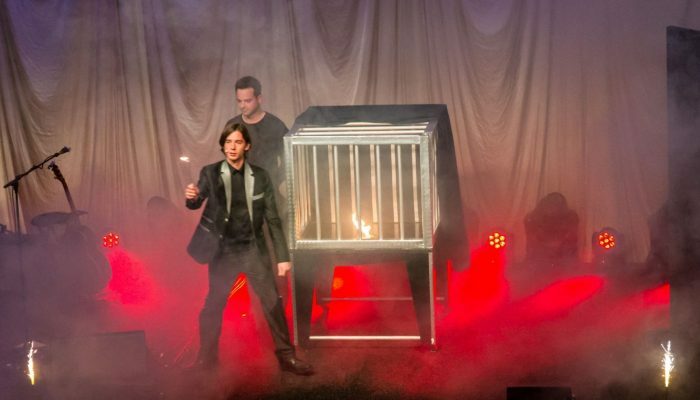 Do you have a large audience or even a theatre full of guests and are you looking for a stage show with grand illusions, sawed-up showgirls with lightning and smoke? 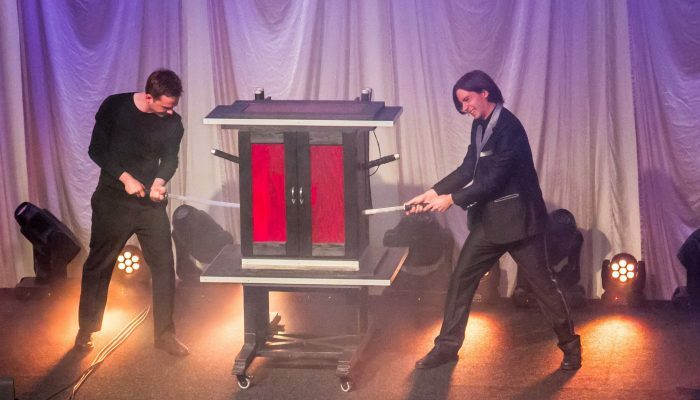 With Dominic Bernath’s stage show you can bring a piece of Las Vegas to your next event. 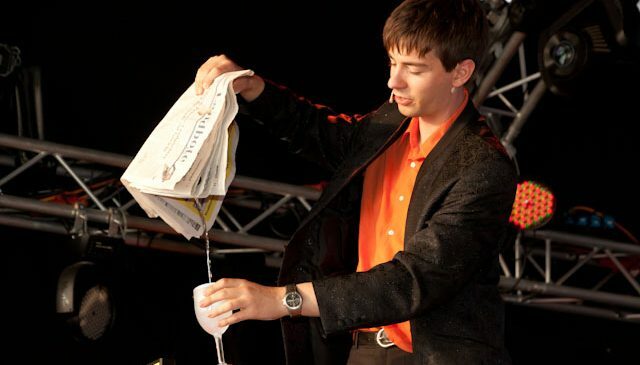 Are you interested in a show or a combination of Dominic Bernath’s show types? 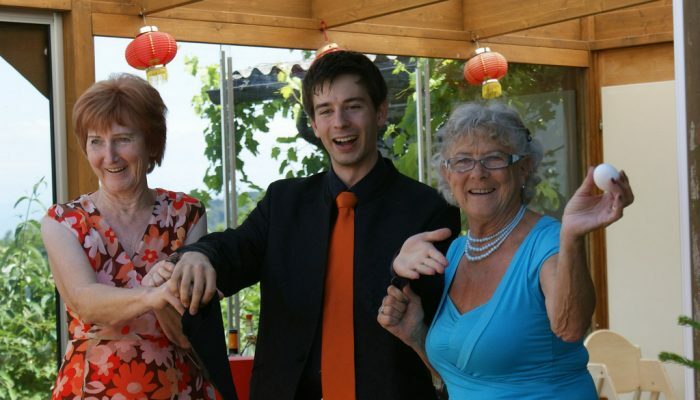 I will be happy to advise you personally so that your entertainment is perfectly suited to your event. 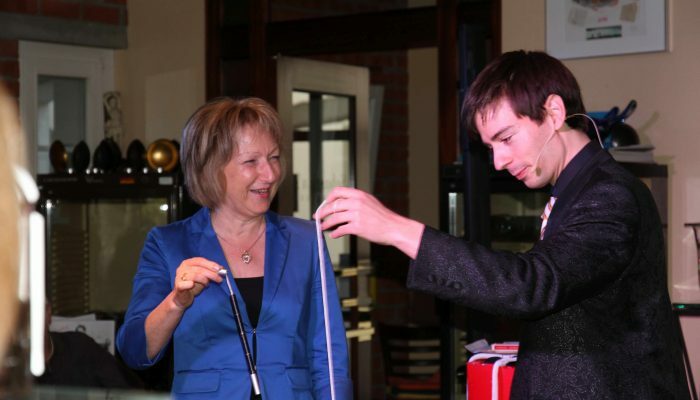 For a free and non-binding consultation call me or send me your data with this form. 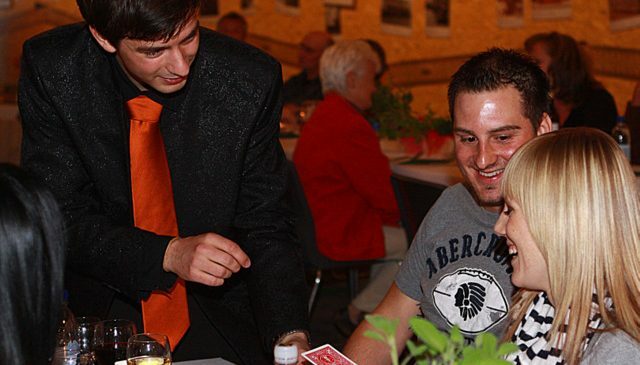 Magician Dominic Bernath offers you an entertainment programm tailored to your occasion! 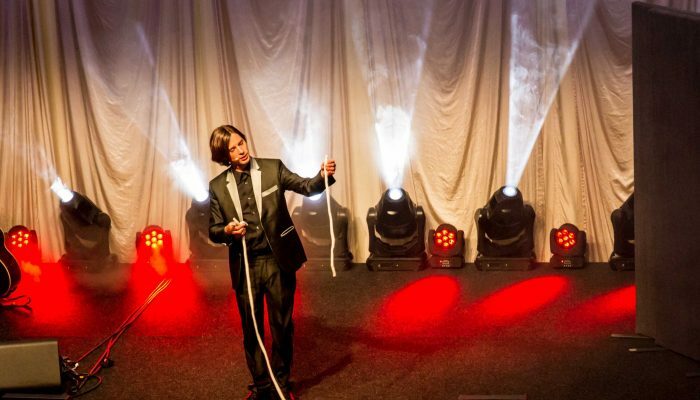 With a lot of humour and charm, he provides enchanting entertainment and fun at your wedding, your company meal or your next birthday party. 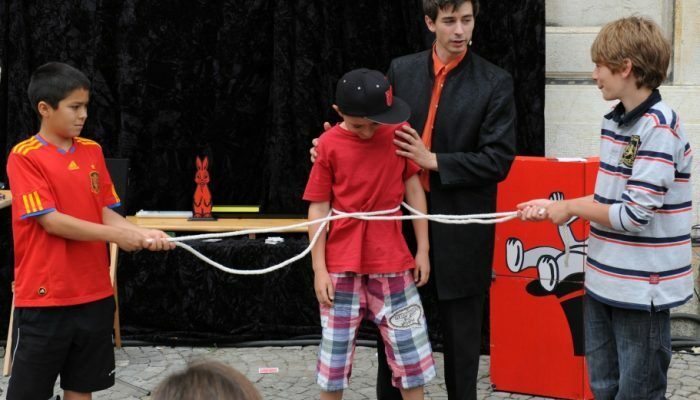 All magic shows are available in German or English throughout Switzerland. 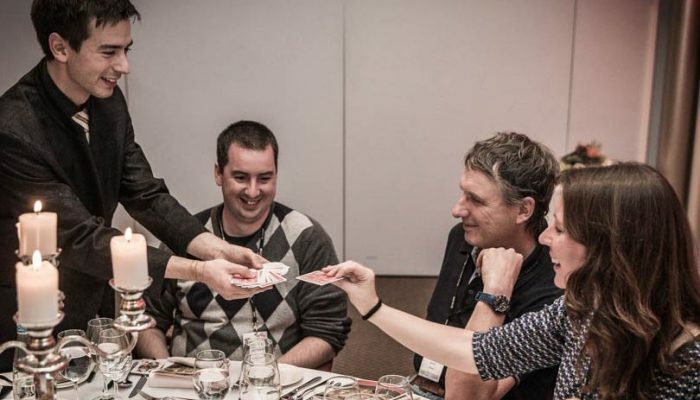 I am at home in Zurich (Winterthur), but of course I will travel to Berne, Basel, Geneva, Lausanne, Lucerne, St. Gallen or wherever you are planning your next event.